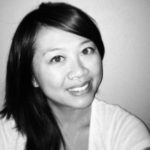 Anh H. Tran is a Licensed Acupuncturist practicing in Seattle, WA and is board certified by the National Commission for Acupuncture and Oriental Medicine (NCCAOM.) She attended The Colorado School of Traditional Chinese Medicine in Denver where she received her Masters of Science in Traditional Chinese Medicine. After her education she decided to advance her studies and took a journey to China, where the root of the ancient healing began. At the University of Guangzhou of TCM, her extended studies include Gynecology, Pediatrics, Dermatology, Internal Medicine and Orthopedics. Anh’s interest in Chinese Medicine began as a child growing up in a traditional Asian household where herbs and foods were frequently used as therapy for common ailments. This allure grew into years later when acupuncture helped resolve some of her own troublesome health issues while conventional medicine provided disappointing results. She had always been a true supporter in the body’s own strength and magnitude to heal and acupuncture proved to be an effective form of therapy that encouraged that natural healing process with no negative side effects. After experiencing the powerful effects of acupuncture, she decided to make a dramatic career change from her corporate job to become an acupuncturist in order to help others experience the benefits of this amazing medicine. Anh’s philosophy is reflected in her holistic clinical approach. She takes time to listen and build good relationship with her patients to be able to treat the body as a whole. She strongly believes in the value of integrative medicine. Acupuncture should not be a last resort, but used as a first defense, an efficient way to balance the body and help restore optimal health.